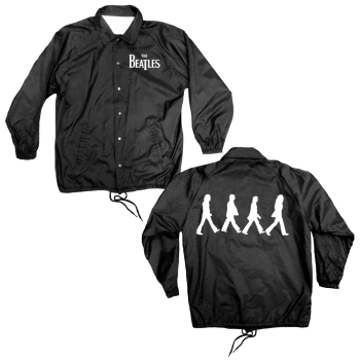 Limited Edition Jacket Beatles Drop-T Logo Luxury Varsity Jacket. 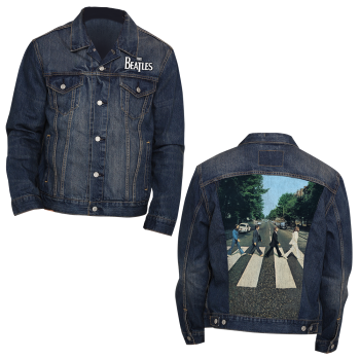 Limited Edition Denim-Jeans Jacket with Abbey Road cover on the back , embroidered logo on the front and inside the lining has the Beatles drop t logo repeated. 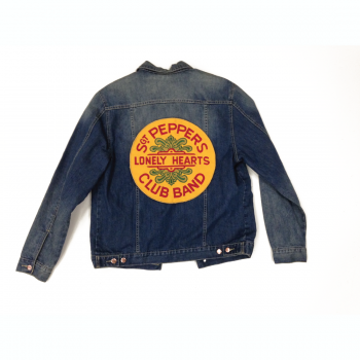 Limited Edition Denim-Jeans Jacket with Sgt Pepper Seal on the back , inside the lining has the Beatles drop t logo. 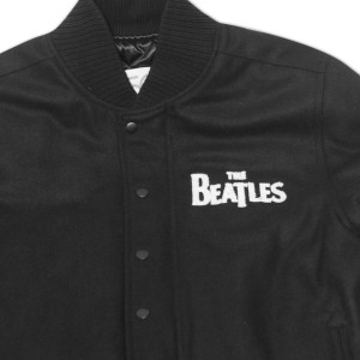 Beatles Mens Varsity Jacket: Drop T Logo Cotton with popper buttons Black/White. Black Sleeves.